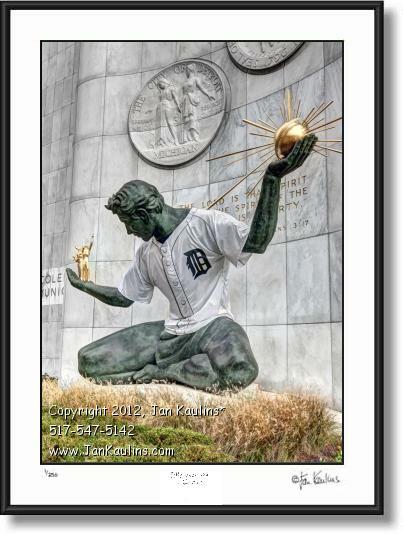 SPIRIT OF DETROIT TIGERS JERSEY photo picture art print poster for sale. This DETROIT TIGERS SPIRIT OF DETROIT photo picture print for sale is made of multiple bracketed photographic exposures, giving it the excellent color and detail seen here. The Spirit of Detroit was dressed in a Detroit Tigers Jersey in 2012 when the Detroit Tigers played in The World Series.